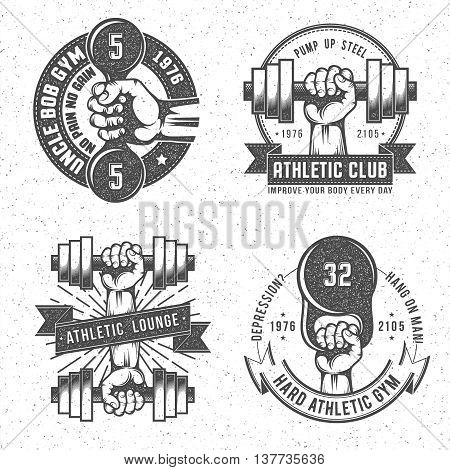 Vintage gym and fitness club emblems with letterpress or rubber stamp effect. Isolated vector illustration. Background on separate layer.